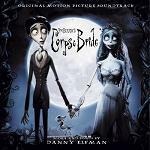 Two of Danny Elfman's major opportunities in the music world have come from his brother Richard Elfman. Firstly Richard founded the group Oingo-Boingo which Danny then joined and secondly, when Richard was directing "The Forbidden Zone" he asked Danny to compose the music for it. While these two events were to open up new avenues, it was the relationship with director Tim Burton that truly launched his career as a major film composer. That relationship started when Burton asked Elfman to provide the score for his first movie "Pee-Wee's Big Adventure" (1985) whose modest success led to Beetlejuice, Batman and Edward Scissorhands to fully bring the partnership into the Hollywood big league. On the music side the extended team included Steve Bartek (also from the Oingo-Boingo band) as orchestrator, and music editor Bob Badami. 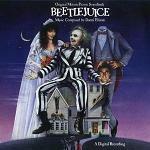 In many ways Elfman's music complements Burton's directorial style, frequently dark and weird but with a wicked humour. It's worth quickly reviewing that style as applied to those early film collaborations, because it is so distinctive. In Pee-Wee, Elfman uses good-humoured yet whacky tunes bobbing on top of simple accompaniments which suddenly change direction as though distracted. In Beetlejuice, the bold, dark and bouncy theme which accompanies the opening sequence immediately sets the scene for a romping tour de force, where you just know that something strange will hit you around every corner. In Batman the powerful Gothic theme seems to reverberate from some dark cathedral, with some colourful characterisation for the deranged Joker, and in Edward Scissorhands we have a gentle fairy tale with wonderful imagery (and equally descriptive music) which seems to have escaped from a fairy story rather than a horror movie. 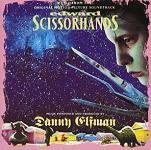 Elfman's soundscape for Edward Scissorhands has been much copied particularly on television commercials, and the music has now been adapted into a ballet by British composer Terry Davis. 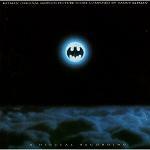 The collaboration continued with Batman Returns, containing great musical characterisation, and then with The Nightmare Before Christmas. This was a huge opportunity for Elfman to display all his talents and he didn't disappoint. Again this is a fantastical fairy tale, with disturbing undertones, where the music is part of the whole conception with lots of good songs and Elfman providing the voice for Jack Skellington the lead character. The partnership between composer and director hasn't been exclusive. 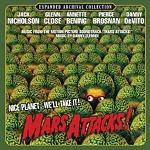 Although they have worked together also on "Mar Attacks!" and "Men in Black", Burton chose Howard Shore to score "Ed Wood" and Elfman in particular has scored many other films for other directors including "Shrunken Heads" for his brother Richard again. Although clearly well known for these wonderful dark or wildly exuberant scores, Elfman has also produced some more conventional fair and ably demonstrates that he can turn his hand to anything. "Dolores Claiborne" is dark not so much in the Gothic sense but in true emotional depth. The small residual amount of Elfman quirkiness serves to add to the uncertainty about the lead character and whether she is telling the truth. Another conventional soundtrack "Black Beauty" seems to lilt with melancholy English folk music not unlike Vaughan Williams' Fantasy on Greensleeves, and "Sommersby" smacks of American farm country. The music for "Good Will Hunting" is finely crafted, being quite light for Elfman yet hinting at depth and complexity in the psyche of the main character. Although he doesn't have a formal musical training like some film composers, this seems to work in his favour to create a unique style full of talent and numerous influences from classical, early film music, blues, jazz, pop and various ethnic styles. He can (and frequently does) move effortlessly between these influences or combine them while adding liberal experimental dashes of his own creation. Elfman cites Bernard Herrmann and Nino Rota as the film composers who have most influenced him, and you can see how he has taken the psychological depth from the former and a quirky humour from the latter. He also cites percussion as the core to his music, and has a large collection of percussion instruments from around the world. While his score for Planet of the Apes has used many of these instruments both familiar and rare, he hasn't used the up-turned metal mixing bowls used in the original by Jerry Goldsmith. Every composer's style evolves over time just like film-making itself, in part as new technology enables different techniques but the tastes of the audience change too. Both Elfman and Burton started some trends with their Batman and other film collaborations, and dark and gothic became fashionable. Then over time other influences came into vogue, both in the visual and the musical sense. Elfman's latest superhero score for "Hulk" retains many elements of his unique style, but he has clearly taken on board ideas from Hans Zimmer and Don Davis' Matrix scores. It would be remiss not to mention his contribution to the small screen in this overview. His TV work ably displays the required characteristic of grabbing ones attention and quickly setting the mood for what is to come. These shorts are really great fun, with the best-known example surely being the theme for "The Simpsons". More recently he has created the theme for "Deperate Housewives". With his film and TV work, playing and creating albums with Oingo Boingo, Elfman has been very busy indeed these past two decades and long may it continue. The year 2005 seems to have both Burton and Elfman returning to form with the release of both "Charlie and the Chocolate Factory" and Corpse Bride. The 2-Disc Deluxe Edition DVD of "Charlie and the Chocolate Factory" has a feature about Elfman's recording of the songs for the movie. 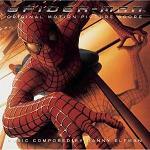 A couple of years ago Elfman released a stand-alone album of music not composed for film but in his own inimitable style. It is called "Serenada Schizophrana" and is available at Amazon.co.uk and Amazon.com. One of Elfman's recent films is "Alice in Wonderland" which is highly recommended in CD form where you can hear in full the vocal version of the "Alice theme" which is a treat. This is definitely Elfman back on form, and the rhythm and chord progressions suggest Elfman's earlier score for "Black Beauty". 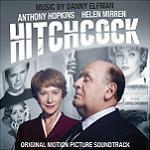 Alice is a must for any film score collector or Danny Elfman fan, and it is available at Amazon.co.uk and Amazon.com. Piano sheet music for "Alice in Wonderland" has also been released and you can find this online at Sheet Music Plus or Music Room. After the success of "Alice in Wonderland" Elfman is reported to be lined up to score "The Green Hornet" for director Michel Gondry. Two of Elfman's film scores are hitting the screens at the same time this year. 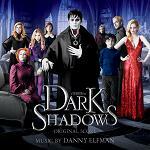 Firstly the composer pairs again with Tim Burton and Johnny Depp for the movie adaptation of the TV series "Dark Shadows". Although he doesn't use Robert Cobert's music from the series, Elfman keeps the film in familiar territory by putting his own spin on Cobert's TV syle. Dark Shadows is available at Amazon.co.uk and Amazon.com. 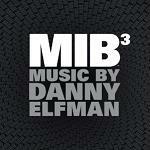 Next up Elfman revisits the "Men in Black" universe, adapting some of his earlier themes with new MIB3 music and putting it all together into a single fun package. MIB3 can be found at Amazon.co.uk and Amazon.com. See also our review of the Concert Series Danny Elfman's Music from the Films of Tim Burton which included suites from some of his best-loved film scores, plus Danny himself performing live some of his songs from "The Nightmare Before Christmas". With the books having been something of a sensation, the film version of "Fifty Shades of Grey" has been and gone at the cinemas and now appearing on disc. 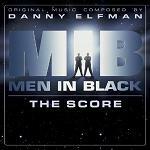 The score is an usual one for Danny Elfman, with "shades" of minimalism and popular drum kit, but it works well. Watch out too for "Alice Through the Looking Glass" due in 2016 by the same team that brought us "Alice in Wonderland". Charlotte's Web - some similar sounding thematic material to "Corpse Bride"
9 - Elfman is credited with the "themes" on this interesting animation with Deborah Lurie having the main credit for "original music"
Here is a selection of sheet music books of Danny Elfman's film music, all arranged for piano.